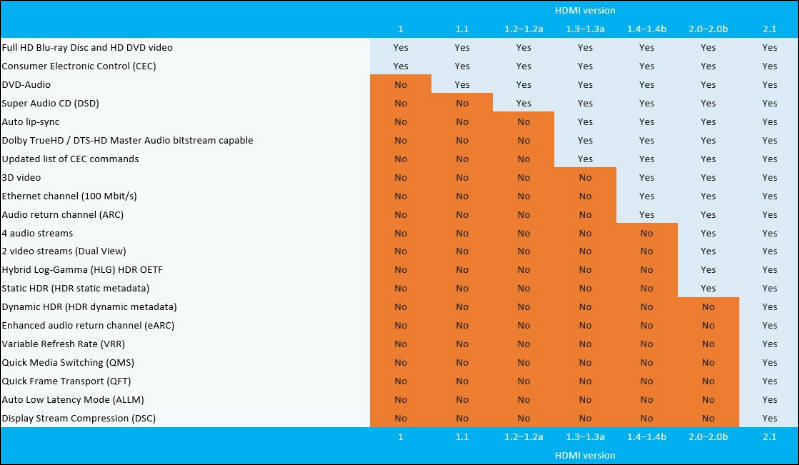 HDMI Forum, Inc. today announced the upcoming release of Version 2.1 of the HDMI Specification. This latest HDMI Specification supports a range of Higher Video Resolutions and refresh rates including 8K60 and 4K120, Dynamic HDR, and increased bandwidth with a new 48G cable. 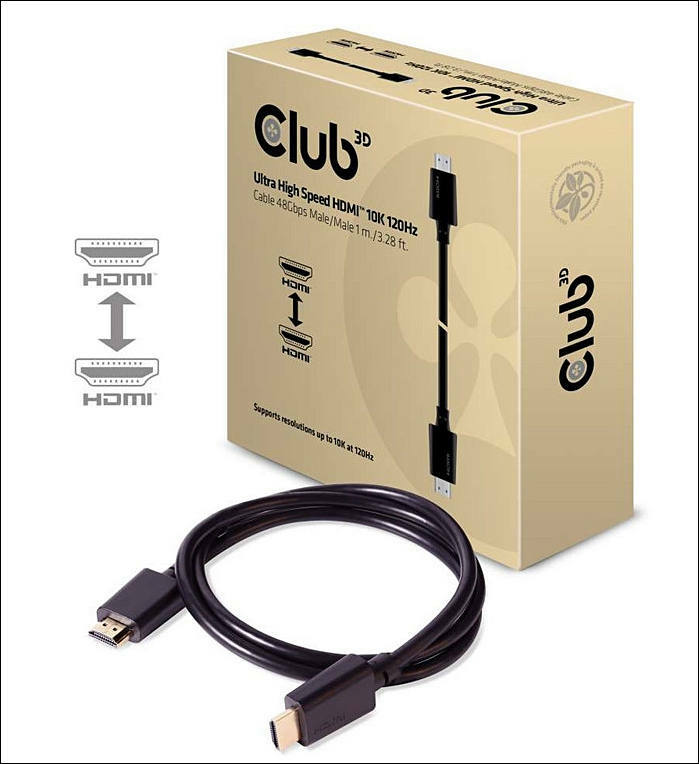 Version 2.1 of the HDMI Specification is backward compatible with earlier versions of the Specification, and was developed by the HDMI Forum’s Technical Working Group whose members represent some of the world’s leading manufacturers of consumer electronics, personal computers, mobile devices, cables and components. Given that as of today, 18 Gbit/s aka "600MHz" capable HDMI cables are available in lengths to no more than 3 meters (and no manufacturer claims to be able to build longer ones that reliably work), I wonder what lengths of "48G"-cables will be offered. I for one am not willing to place my video source next to the TV. One of solutions is active cables with small amplifier. 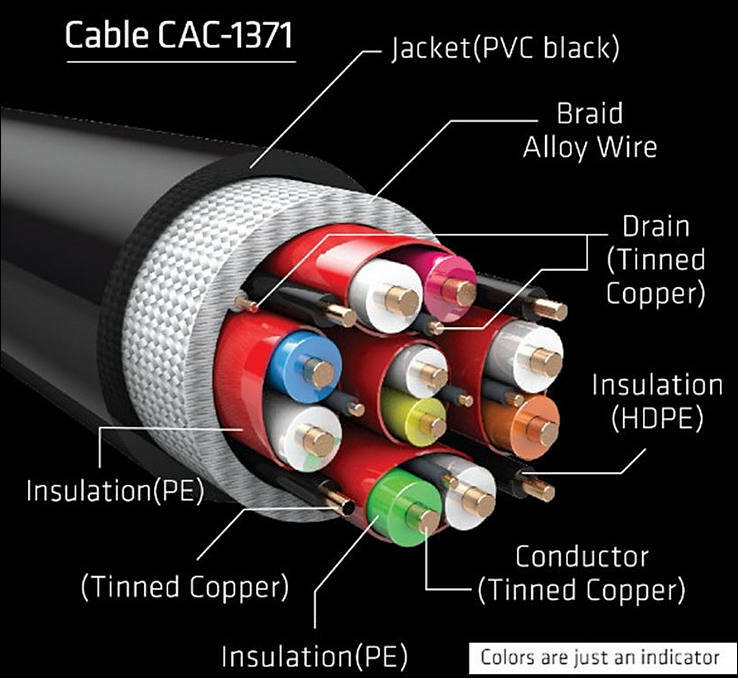 Sure, but in the long run every cable standard that required active components didn't become a wide success for the simple reason that this makes cables expensive and even more prone to defects (due to the additional electric components and their possible incompatibilities at both ends). Dynamic HDR support ensures every moment of a video is displayed at its ideal values for depth, detail, brightness, contrast and wider color gamuts—on a scene-by-scene or even a frame-byframe basis. All NVidia upcoming 11xx GPU cards will have support for HDMI 2.1. It'll be one of main marketing points. @Vitaliy_Kiselev I just feel Nvidia will not fully support the spec, and figure ways to Gimp the full HDMI 2.1 Spec on $700+ "Consumer Cards", with partial support for 10 bit color or Fake "HDR" to retain GSync proprietary garbage... Nvidia history shows they just can't help themselves... they come from same school as Canon and Nikon, no? Spec on $700+ "Consumer Cards", with partial support for 10 bit color or Fake "HDR"
have no idea about any fake HDR. But 10bit limits on desktop are due to need to sell premium cards. It is old story. Unfortunately, compliance testing protocols and procedures for HDMI 2.1 certification have not been announced yet for many product categories, meaning that it’s very unlikely that any 4K Ultra HDTVs available this year will carry the HDMI 2.1 connector. The world’s still safe for you to go out and buy [today’s premium TV] products. You don’t have to panic with HDMI 2.1 coming down the pipe. 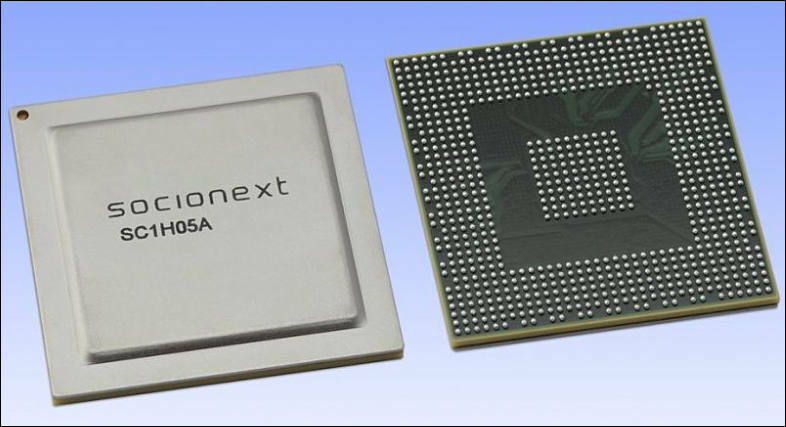 Socionext just announced that its HV5 processor - the first in the world compatible with HDMI 2.1 - would not be available before March 2019. Obviously, several TV manufacturers should take advantage of CES in Las Vegas next January to unveil their HDMI 2.1 compliant models, but in fact, these should be available later in 2019. “For someone buying an 8K TV now there is no way of getting an 8K signal into it. So I am curious about that as well,” said David Meyer, CEDIA technical content director. The HDMI 2.1 Specification was released in November 2017 and manufacturers of several products including semiconductors, TVs, AVRs, soundbars, and game consoles have made announcements on upcoming releases supporting the specification. HDMI® Licensing Administrator, Inc. (HDMI LA) reports that CES 2019 will see many more announcements covering a broad range of product categories. "In one short year after the launch of the HDMI 2.1 specification, consumer electronics companies have launched innovative products improving the gaming experience, 8K displays and cinema quality audio for the home theater," said Rob Tobias, CEO and President of HDMI LA. "Because of the ongoing evolution of the HDMI interface, HDMI technology continues to be the universal interface for consumer electronics products." HDMI LA also reports that almost 1 billion HDMI-enabled devices are projected to ship in 2019, amounting to eight billion devices shipping since the release of the first HDMI specification in 2002. HDMI 2.1 Specification "Feature Showcase" at CES in the HDMI LA booth South Hall 1 #20208. "The launch of the HDMI 2.1 Specification enables manufacturers to bring more immersive and dynamic experiences to consumers, and I invite everyone to come by the booth to see the demos," said Robert Blanchard of Sony Electronics, president of the HDMI Forum. "This is a time when the 94 Forum Member companies can celebrate the successful release and implementation of the specification that they worked so hard to deliver." Also on display will be the latest brands representing the Premium HDMI Cable Certification Program, which includes over 100 participating HDMI Adopters representing several hundred major brands and resellers in the U.S., Asia and Europe. Premium HDMI Cables are required to be tested and certified only at HDMI Authorized Test Centers (ATCs) and display the authentication anti-counterfeiting Premium HDMI Cable Label. Additionally, several HDMI adopters will be in the HDMI Tech Zone demonstrating their HDMI test equipment, testing services and active optical cables and solutions. Available at the booth will be representatives of HDMI LA and to make an appointment, please contact Val Robbins at vrobbins@hdmi.org, or our media relations team listed below. High Frame Rate (HFR) capability will allow high resolution video signals at higher than 24 and 30 fps rates. The new faster frame rates like 4K/120 fps and 8K/60p should enable sending live high-resolution video of fast-action sporting events in crystal clear, smooth motion resolution with minimal pixelization and blurring. Samsung TV models in the 8K Q900R series will support 8K video at a HFR of up to 60 fps through HDMI 2.1 connections. Those who bought a Samsung 8K Q900 last year, will be able to get a complimentary upgrade of a board in the set's OneConnect Box (installed professionally) to accommodate 8K HFR over HDMI 2.1, Samsung said. In 2019, only the 4K Q90 and the 8K Q900R QLED TV series will support High Frame Rate (HFR) 4K Ultra HD video (4K/120 fps) in 2019. Models in the Q60, Q70, Q80, Q90 and Q900 series and the 9500, 9000 and 8600 Series NanoCell TVs will also be able to do HFR 120 fps at 2K and 2.5K resolution (2K/120 fps, 2.5K/120 fps). LG OLED TV models in the W9, E9, C9 Series and LG NanoCell LED-LCD TVs in 9500 and 9000 Series will support 4K HFR over both HDMI 2.1 and USB inputs. Models in the NanoCell 8600 Series will support HFR only through USB input. This is to be added via a forthcoming firmware update. Variable Refresh Rate (VRR) is a standardized system for TVs to synchronize the display with a gaming console or PC. Xbox One S and One X were the first devices to support VRR over HDMI. All Samsung QLED TV series (Q60, Q70, Q80, Q90 and Q900R and the RU8000 Series edge-lit 4K LED-LCD TV Series will support both VRR and AMD's proprietary FreeSync (a system like VRR that maintains perfect synchronization between the display and a PC or console even as a game's frame rate fluctuates) at up at up to 120Hz. FreeSync is supported by Xbox One S and One X consoles. LG's W9 Series 4K OLED TV series will not support VRR neither will 8600 Series LG NanoCell TV models nor 9000 other than the 65 and 55 inch screen sizes, which will. Auto Low Latency Mode (ALLM) is an HDMI feature specified in version HDMI 2.1 that allows a gaming console such as the XBox One S or XBox One X automatically control all connected compatible components in an HDMI chain, including an AV receiver and TV set, to enter a game mode or low-latency mode without requiring the user manually go into the TV settings to make the change. Samsung supports ALLM through HDMI on all of its mid-level and higher-end 4K Ultra HD television series including all 2019 QLED TVs as well as the RU7 and RU8 Series 4K edge-lit LED-LCD TVs. LG supports ALLM through HDMI on all of its 2019 4K OLED TV and 2019 4K NanoCell TV Series models. Dynamic HDR Metadata are instructions carried through number of HDR profiles (Dolby Vision, HDR-10+ etc.) transmitted by a source component to a supporting television telling the display how to present brightness, contrast and color levels on a scene-by-scene or frame-by-frame basis to produce varying levels of high dynamic range through out the course of movie or program. All 2019 Samsung QLED TVs and RU8 Series 4K Ultra HDTVs support Dynamic Metadata via HDMI for the HDR10+ profile. All 2019 LG 4K OLED TVs and 2019 4K NanoCell LED-LCD TVs support Dynamic HDR Metadata via HDMI for the Dolby Vision HDR profile.